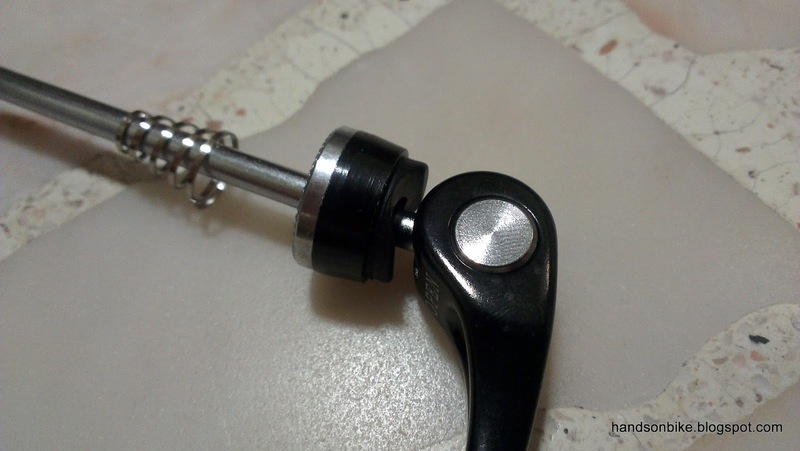 The quick release skewer is an often overlooked component on a bike. 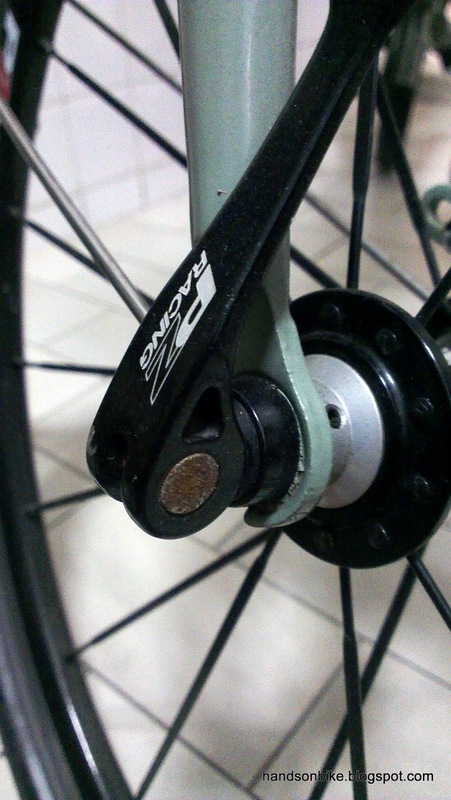 Despite looking small and flimsy, it plays an important role on the bike: Holding the wheels in place! Without a quick release skewer, the wheel would pop out whenever you go over a bump. Contrary to popular belief, the QR skewer does not bear weight on its axle. Rather, the load is borne by the ends of the hub, and the QR skewer merely clamps everything in place. Of course, QR skewers did not always exist. Before it was invented by Mr. Campagnolo in the 1930's, cyclists have to loosen axle nuts before they could remove the wheel from the frame, which is comparatively more troublesome. 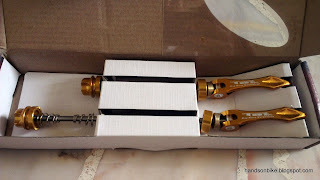 Nowadays, QR skewers are found on most mid to high end bikes, with only the most basic entry level bikes still using traditional nutted axles for the wheels. However, not all QR skewers are made the same! There are 2 main types of QR skewers: The internal cam type and the external cam type. From the pictures below, you can see the difference. The most common type of QR skewers that we see nowadays are the external type. 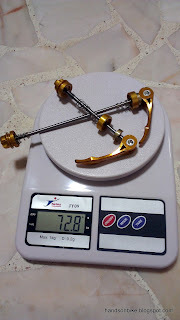 It is usually lighter in weight, and easier to manufacture. This makes it cheaper too. 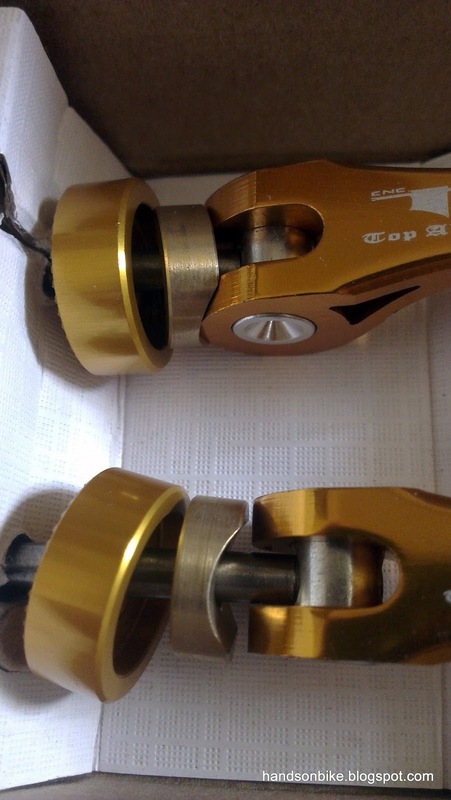 However, compared to the internal type with all metal parts, it does not have such a strong clamping force, and the performance is also poorer due to inferior parts being used (further elaborated below). For normal usage, either type of QR skewer will work fine. However, if you want to know more about the difference between good and bad QR skewers, read on! 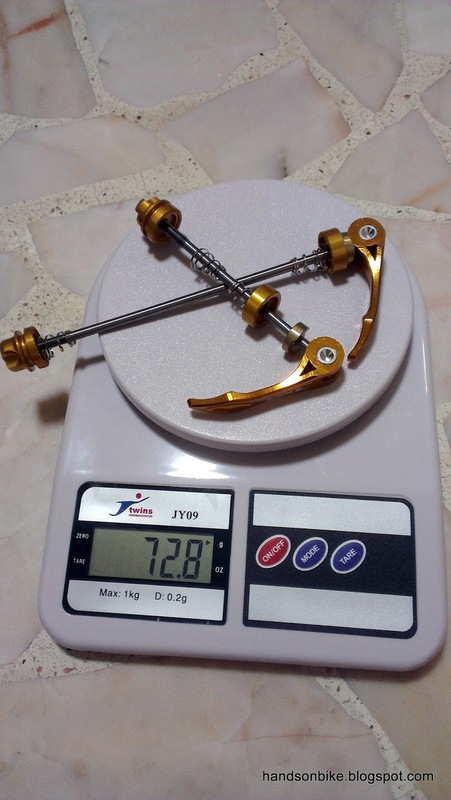 Let us take a look at the external cam type of QR skewers, as it is more common and the mechanism can be seen easily. Look at the two pictures below. They are both external cam type QR skewers, and they also look similar, but there is actually a crucial difference. Did you spot the difference? If yes, good for you. You can tell the difference between a well designed QR skewer and a normal QR skewer. If not, read on to find out! Look at the concave shaped washer under the lever cam. On most (90%) QR skewers, this piece is made of hard rubber or plastic (1st picture). When the lever is closed, the rubber compresses and some of the clamping force is lost. This is why you get a mushy feeling when you use this type of QR skewer. What you are feeling is the concave rubber washer compressing under load. Although it will still work, you will need to apply a higher force at the lever to close the QR skewer properly, as some of the force is used to compress the soft rubber washer instead of clamping the hub tightly. On the other hand, look at the concave washer on the QR skewer in the 2nd picture. It is a solid metal washer made of brass. 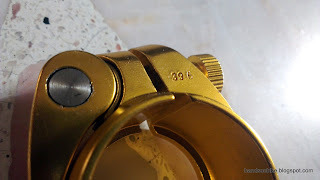 When closing the lever, the brass washer reduces the amount of friction in the cam mechanism (compared to the rubber washer), and it gives a nice, solid locking action. The brass washer does not compress and the clamping force is fully utilized to secure the wheel. Not only does the locking action feel smoother, the clamping force is easily achieved with less effort. Another difference is the material used to make the QR skewer. This also indirectly affects the weight of the QR skewer. QR skewers from the Wheelsport wheelset. 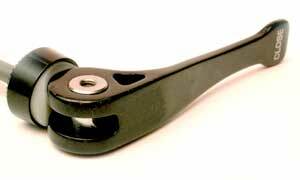 All the pivots and axle are made of normal steel, with aluminium levers. 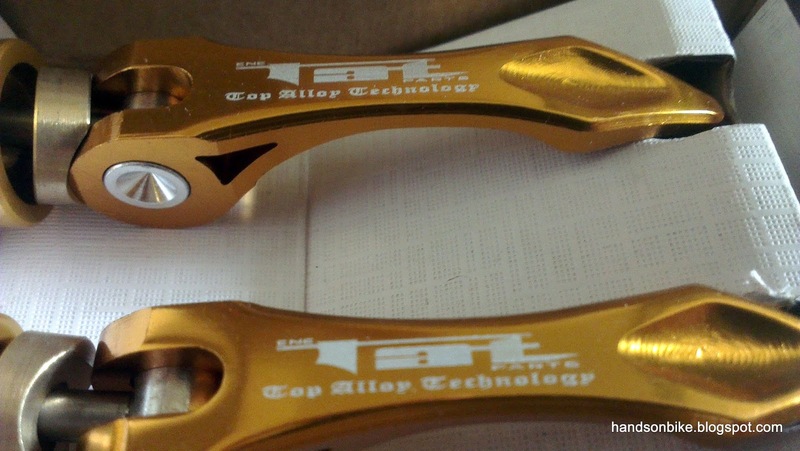 TAT Alloy/Titanium QR skewers. Titanium pivots and axle, aluminium levers and nut. 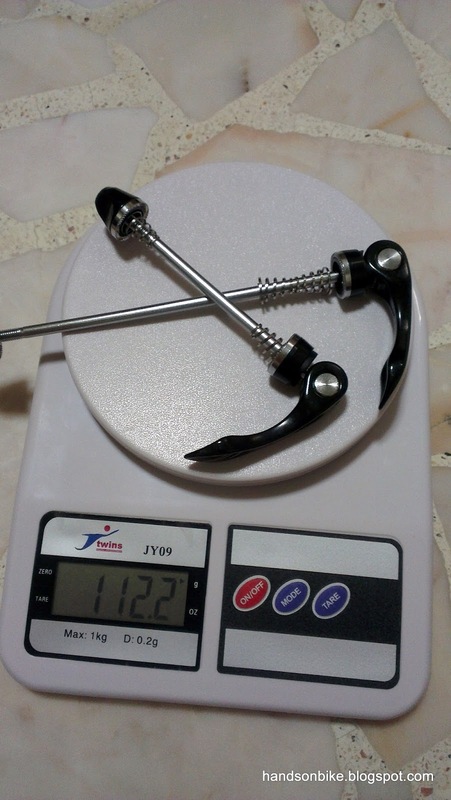 The titanium QR skewer is a good 40 grams lighter than the normal steel QR. This is despite it using a heavier brass washer. Another important feature is that because there is no steel used (besides the spring), it does not rust! Compare this to another QR skewer that has some rust on the exposed steel pivot. Now you know the difference between good and normal QR skewers. Besides looking at the material used (titanium or steel) and the weight, also look at the type of concave washer that is used! 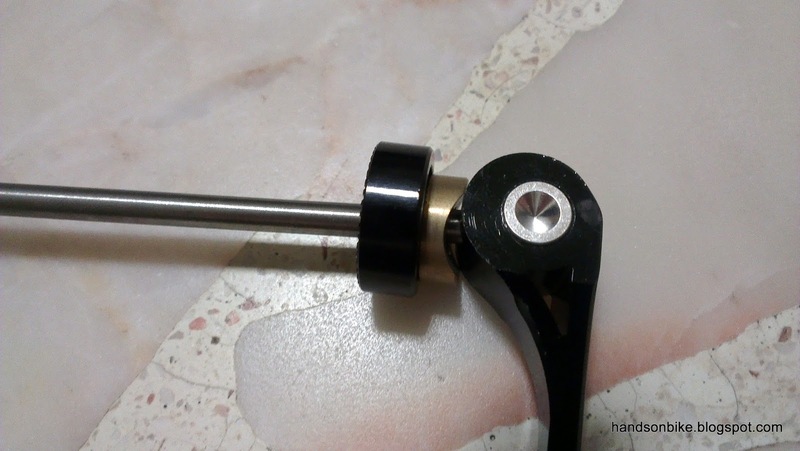 A QR skewer with a brass washer will have a smoother operation and also more solid clamping action. Although this may not make a difference to most people, the quality shows up in the details. For more info about QR skewers, you can refer to the links below. Hi, thumbs up for your blog. Really informative. I am looking to upgrade the handlepost on my Raleigh foldie to the Fnhon one. 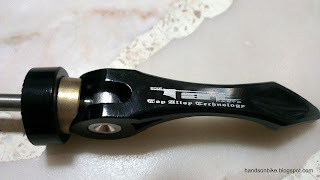 Regarding the compression bolt/cap for Dahon steerer tube, is the size of the cap about the same as the top caps for 1 1/8" steerer tubes? 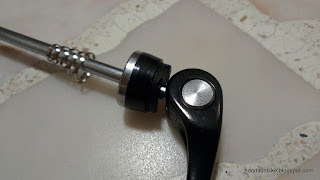 I noticed that the Dahon uses proprietary threaded compression bolt/cap and was wondering if a standard top cap with compression bolt can fit the Dahon/Fnhon handlepost. 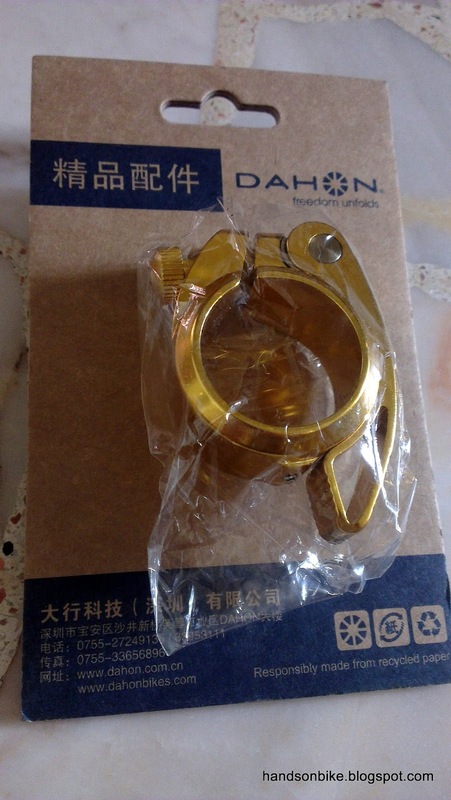 No the Dahon/Fnhon design is quite different from standard designs, so they are not compatible. 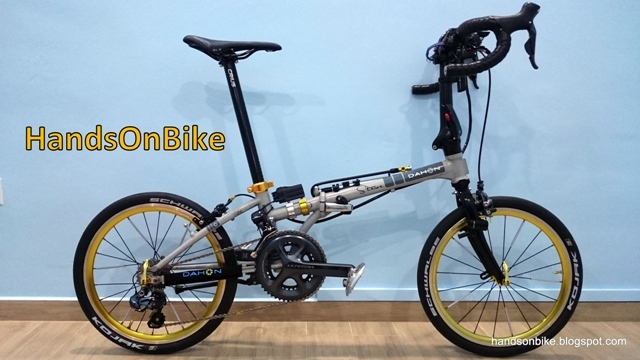 If you want to use a Dahon/Fnhon handlepost, you need a Dahon bike. My mountain bike came with a really bad set of exposed cam skewers, springy and unwilling to do their job on a permanent basis. 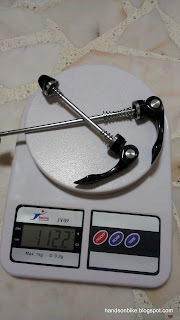 I swapped my wheels out and got some nicer Sun Ringle skewers, but the aluminium knurling on the insides of the nuts is still prone to failure and with the brakes I currently use (Avid BB7 mechanical discs) the front skewer has proven problematic. So, the cheapest set of Shimano skewers and I've had no problems since. 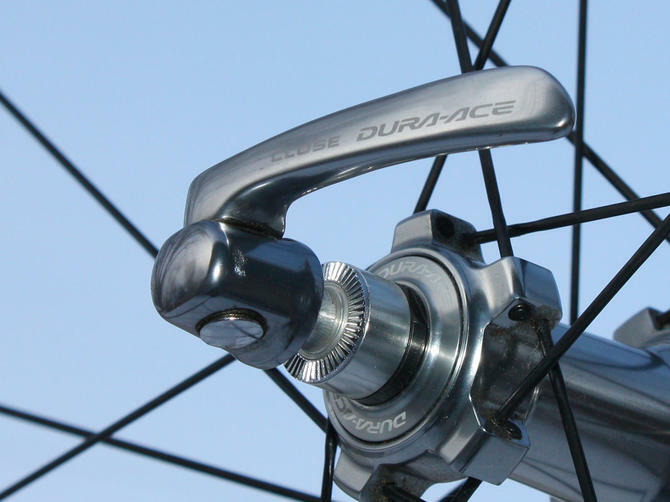 I'm not arguing with what you're saying, but the problem you're experiencing is because of the disc brake design, which pulls the wheel down, and out of the drop-outs, under tremendous force. There's been alot of denial from disc brake manufactures about this problem. Basically, the cheaper skewers do the job. But NOT on disc brakes. 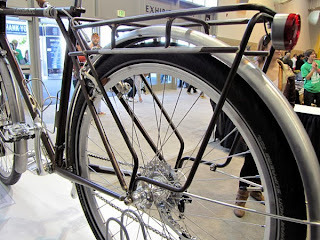 That's why they started using though axles, to stop this problem of the wheel being pulled out of the forks. Be very careful to use a good skewer, when using disc brakes, if you don't have through axles! Thanks, learned something new. Never realized the more expensive skewers utilized brass cams in addition to the (obviously more expensive) titanium axles. Hi Steve. May I ask where u buy the TAT skewers? Tried goggle but cannot find the brand. Sheldon Brown was a fan of the internal cam mechanism though external is standard. The front and rear drop-outs can affect the ability of the Quick Releases to retain the grip - some with heavy wear leading to problems for external cam QR's (i.e. slipping wheels at the worst possible moment). Even the Stan's NoTubes ZTR wheelsets come with that crappy, exposed cam skewer. They require tons of effort just to open and close. I switched back to Mavic style internal cam units, only because I have wheel/tire clearance issues, requiring the front wheel sitting 3mm lower in the fork dropout and cannot deal with teeth-grinding issues of the exposed cam units. I am happy that you simply shared this helpful information with us. For newbies who always look for useful tips and updates about the best skewers, it will definitely a big help and a wonderful resource to bookmark. Thanks!